Description: Book of Bahá’í proofs by Sadr us-Sudúr, in the hand-writing of the author. 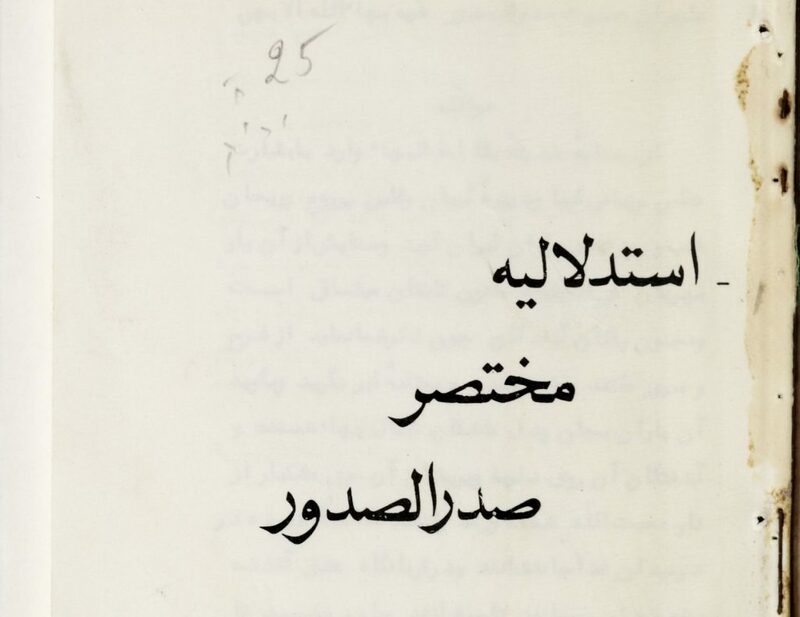 As indicated on p. 4 of this manuscript, this is a fascimile of the original manuscript, published in Iran (Tehran: Mu’assasih-yi Millí-yi Matbúʻát-i Amrí, 132 BE); republished Bundoora, Vic., Australia: Century Press, 2004. 407 pp. of ms. (410 pp. of PDF).